If you’re pregnant and wondering how to survive Thanksgiving, know that there is hope. You can stay happy and comfortable during the holidays. Thanksgiving involves a lot of cooking and family. If you are pregnant, you may feel stressed out by the holiday season. However, there are ways to stay relaxed during the holiday season. Use the following tips so that you can enjoy Thanksgiving with your loved ones. No one said that you had to be the one to cook the whole meal. Talk to loved ones to see if everyone can bring a dish: sides, beverages, desserts and more. Having to deal with only one dish, even the turkey, will keep you sane. You can even start grocery shopping for the canned goods and non-perishables early on. Do not forget you have a team of family and friends ready to cook and bring things. Invest in some recyclable plates and trays to avoid dishes. 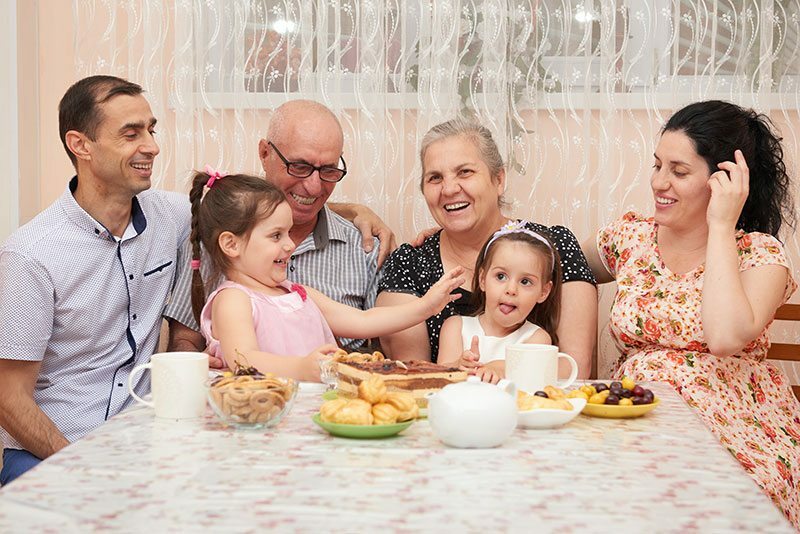 You and your loved ones can enjoy one another’s company instead of worrying about the clean up after the meal. Recyclable items cut down on the environmental concern. If there are dishes, do not be afraid to ask loved ones to help. Most people will not care if you go to the store and buy some staples. After all, this is a chance to save time, money and stress. Take a trip and invest in a store-bought apple or pumpkin pie and grab some ice cream while you’re out. Investing in some grocery store items will fill the table for everyone and ensure you are not stressed out the whole time. Honestly, most people will not even notice the difference. Do not let other people load up your plate with items. You may be feeling uncomfortable already, so it is important that you only eat what you are craving, even if it is just the gravy or sweet potatoes. Sip on your seltzer or water and make sure you are not standing up the whole time. You may be excited to see your family, but you do not want to be exhausted by Thanksgiving or put the baby at risk. Your loved ones will understand if you stay stationed in a comfortable chair. A happy pregnancy means making smart dietary choices for you and the child. Make your plate look as colorful as possible if you want to give your child all of the necessary nutrients. Pumpkin pie is good because the pumpkin can reduce swelling and has even been known to regulate blood sugar. Nuts are a great snack to bring to the feast and are healthy for you and your baby. Make sure you drink water throughout the day. Staying healthy at Thanksgiving means that you are less likely to deal with nighttime heartburn or discomfort. Thanksgiving is a time for everyone to come together and feast. If you are used to standing on your feet cooking or cleaning, think again. The holidays can exhaust you and all of the food options can cause discomfort and heartburn—a pregnant woman’s nightmare. Taking the time to delegate tasks and stay off your feet means that you can have a comfortable holiday free from stress. This keeps you happy and also keeps the baby healthy. Remember that your loved ones understand and want to support you. Following the above tips is the perfect way to have a happy and comfortable Thanksgiving with everyone you love.